AI-AP | Pro Photo Daily » What Learned This Week: '80s Opulence Is Trending. So Is Aura Photography. What Learned This Week: '80s Opulence Is Trending. So Is Aura Photography. If you liked the Reagan era, you’ll love 2019. This week we spotlighted Shutterstock’s newly released 2019 Creative Trends report, which the stock giant compiles by studying gazillions of search terms to see what marketers and consumers are interested in. And, as we noted, the company found that the year ahead will look a lot like the 1980s, with a twist. For instance, Shutterstock sees the return of zine culture as a design trend — but the "raw, homemade aesthetic" will get a modern update. “In the digital age, zine culture lives on in the decentralized mindset of social media where independent makers can share and niche groups can discover,” noted the report. Think collage, photocopier paper cutouts, noise and grain textures, and rough-edged layers. There will also be a return to '80s opulence, predicted Shutterstock. "Forget good taste, this is about good times," notes the report. Apparently we’re looking to escape the Trump era by embracing the glittering excess of the past. “Clashing is the keyword for this trend. Think leopard print and snakeskin, peacock feathers and gold chain belts, soft fur and hard metal textures,” decrees Shutterstock. On the other hand, the report sees a changing attitude toward consumerism as our climate changes. “Now the conversation is about alternatives. Green products made from hemp and bamboo are making headway, while the Three R's – reduce, reuse, recycle – are the inescapable motto of years ahead,” noted the report. “The year-over-year search increases provide insights that are not only helpful for other marketers as they prepare for campaigns throughout the year, but also valuable to artists, photographers, videographers and musicians,” noted Shutterstock of the report. You know what else is trending? Auras. The practice of capturing one’s aura on film is big these days — in recent years, roving aura photography lab Radiant Human has held pop-up events at cultural destinations like including the Aspen Art Museum, while it has become “virtually de rigueur" to post one’s colorful aura on social media, noted Artsy, which looked back at the surprising history of aura photography: The notion that a camera could lend the photographer its clairvoyant eye originated in the Victorian era, when paranormalism was taking North America and Europe by storm. We wish the best for you and your aura in the opulent year ahead. 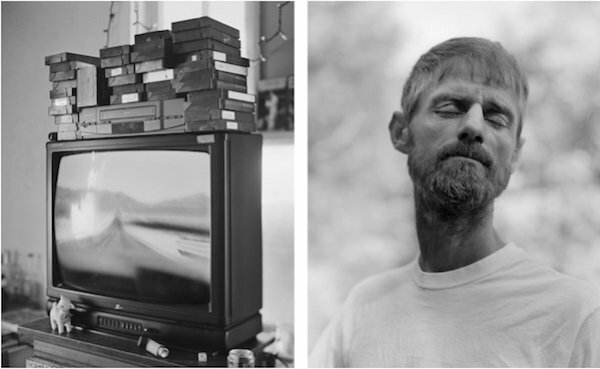 Here are some of the other photo stories we spotlighted this week. 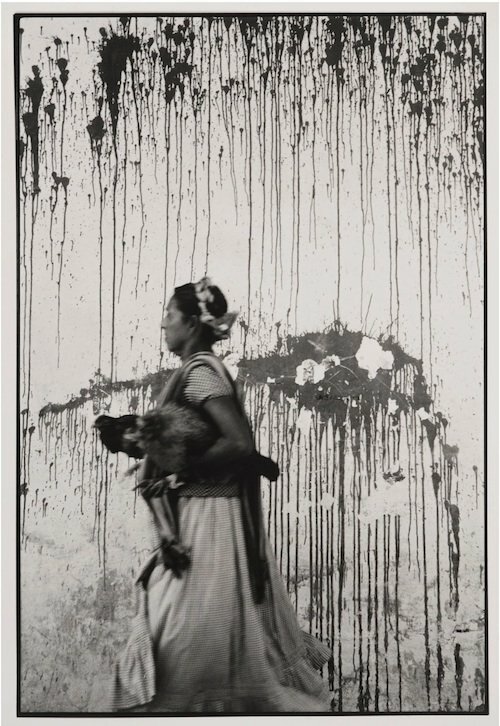 In her long career, Graciela Iturbide has documented the Seri Indians of Sonora, goat-slaughter festivals among the Mixtec of Oaxaca, funeral rites, cultural practices, complex landscapes, birds, and herself. 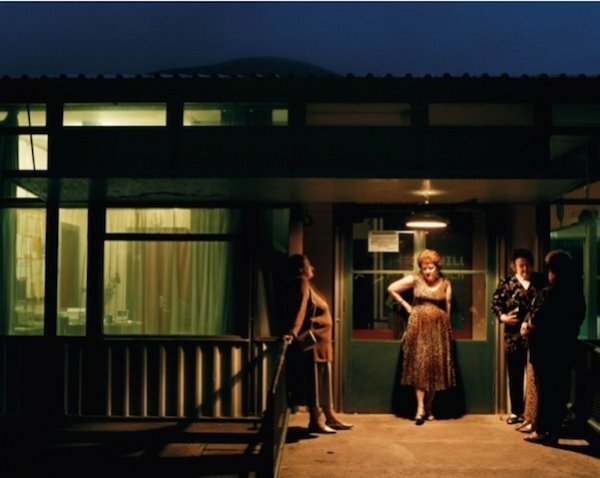 Selections from these projects, drawn primarily from her own collection, will be on view at the Museum of Fine Arts in Boston, from Jan. 19 to May 12 in the exhibition “Graciela Iturbide’s Mexico,” noted The New York Times. Her photographs of Frida Kahlo’s recently once-closed bathroom will be included in another exhibition in Boston. 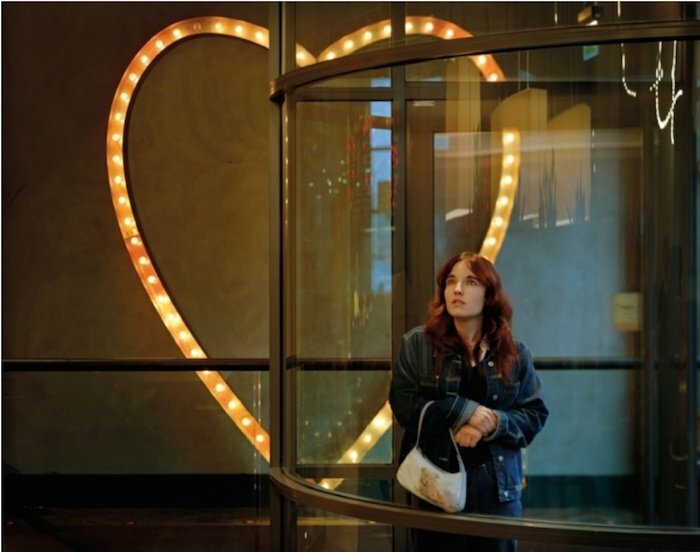 “I really think that visual culture is the last battleground for women’s equality and freedom,” says photographer Hannah Starkey, whose precisely staged photographs capture women going about their daily lives, revealing what It’s Nice That called “moments of private reflection, alienation, or social interaction that might otherwise go unseen.” Her new book, “Hannah Starkey, Photographs 1997-2017,” charts two decades of her work, including her documentation of the 2017 Women’s March in London. 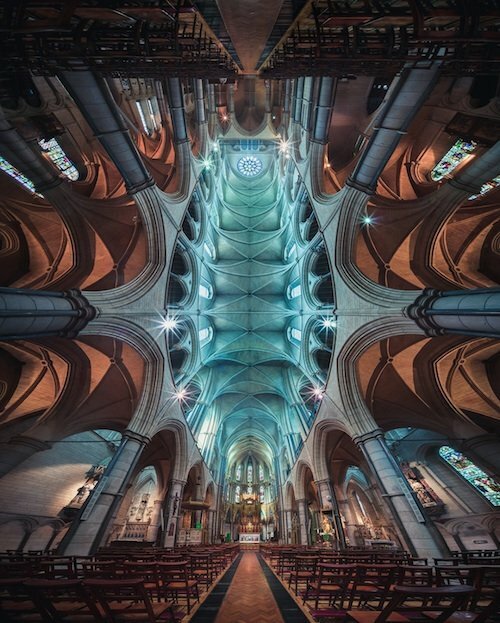 Photographer Peter Li’s panoramic photographs introduce a new perspective to the already breathtaking architecture of churches from around the world. “By capturing the entirety of the ceiling and supporting columns, Li allows the viewer to get the chance to feel what it is like to stand at the center of these grand buildings, while also achieving a viewpoint that is impossible to get without digital intervention,” noted Colossal. The architectural symmetry of the churches is highlighted when a chapel’s interior is stretched, added My Modern Met. Trying to figure out what gets attention on Instagram? 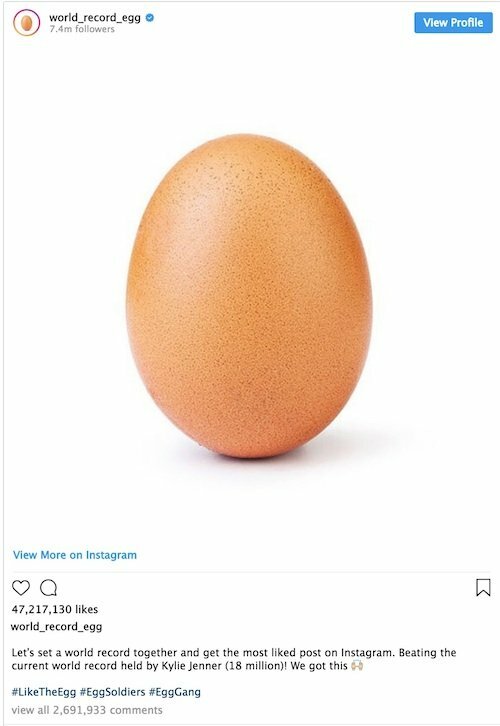 HuffPost reported that a stock photo of an egg overtook Kylie Jenner’s birth announcement as the most-like photo on Instagram. The egg’s secret? Full-transparency captioning: “Let’s set a world record together and get the most liked post on Instagram,” the caption read. The mysterious individual behind the egg account posted a new message after overtaking Jenner: “This is a madness. What a time to be alive.” Yes, indeed.